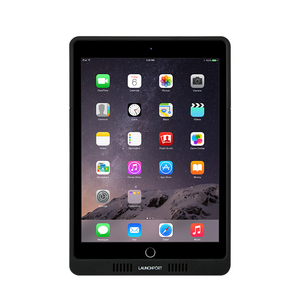 LaunchPort is a wall mount and table dock system that magnetically holds and charges your IPad allowing you to simply turn your IPad in either a vertical or horizontal position or to remove your IPad from the mount. 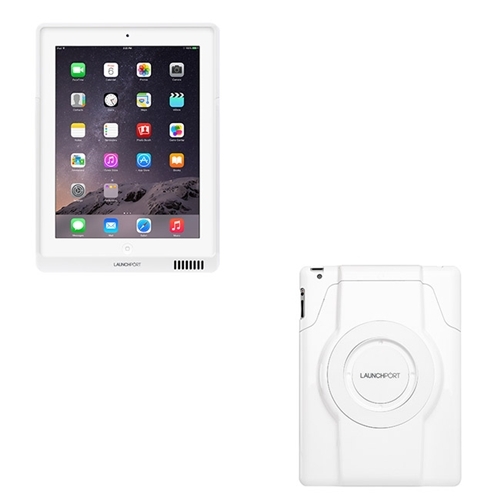 LaunchPort consists of a mount and a LaunchPort case that encases your IPad for protections against damage. LaunchPort only works with Apple products. 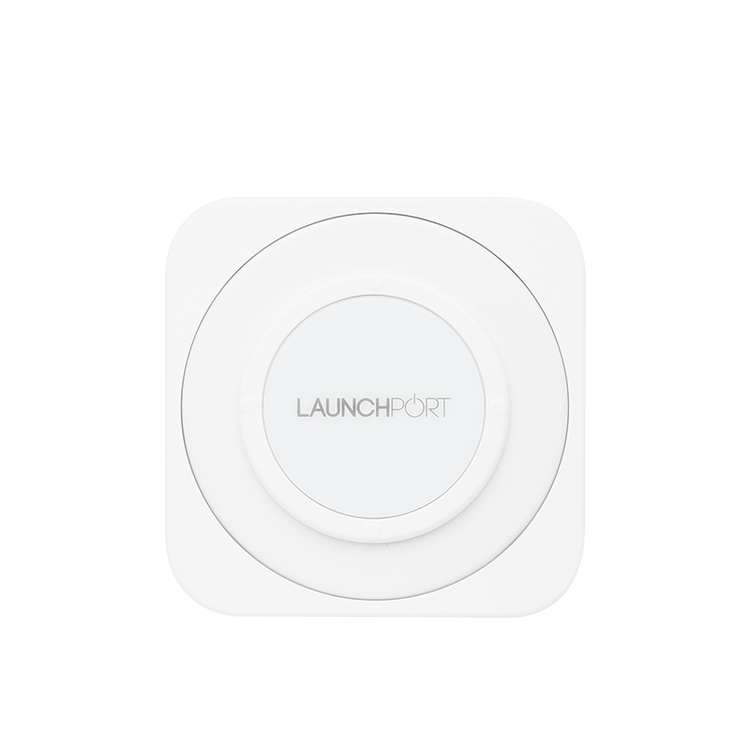 LaunchPort allows you to simply pull and remove your IPad from the wall mount. 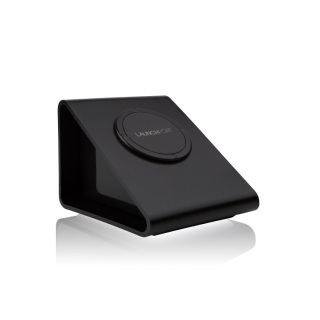 LaunchPort also charges your IPad with no wires using magnet induction. ​LaunchPort requires you to physically install the wall mount. Launchport requires your IPad to be in a LaunchPort case. LaunchPort cases work with both the wall mount and the table dock. LaunchPort cases can be ordered with or without hard buttons. Launchport requires a 110vac power outlet near the wall mount. Hard buttons provide immediate access to key controls. Hard buttons typically exist on the wall and in most cases are not at your fingertips. Our goal was simple: to create programmable, hard buttons that function independent of iPad. We believe this provides the best of both worlds: immediate access to key controls along with the richness of Apps; any app you want, at any time. 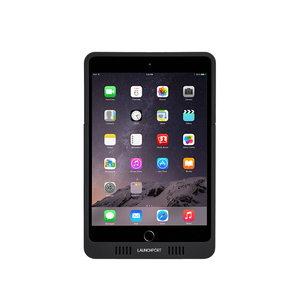 Your LaunchPort case will work with any LaunchPort mount so you only need one case for your tablet and you can mount and charge your IPad anywhere in your home or business. ​First, let's determine how many IPads you have and what models they are. Take note of how many IPads you will want to mount either on the wall or on the docks. Take note of each ones model. Click on the "View Details and then add the models you have to your cart. Next lets determine where we want to mount our IPads. Walk around your home or business and stick a post it note at the locations you would like to wall mount your IPads. The best places for wall mounts are spots you need information about, or the ability to control your home quickly and easily. Some places we often install wall mounts are, Front Door Entry, Master Bedrooms, Kitchen, Office, Bedrooms, Garage/Home Door Entry, Safe Room, Theater or Home Theater Room, Wine Cellar, Cellars, Laundry Room, Garage, Pool House. Count the wall locations you stuck post it notes for your wall locations. Order the number of wall mounts you would like. Determine what location you would like to have a table dock for your tablet. Some good locations are Home Theater Seating area, Bedroom Nightstands, Kitchen Table, Office Desk, Kitchen Counter, Garage Work area, Pool House Table. Count the table dock locations. Order the number of table docks you would like.